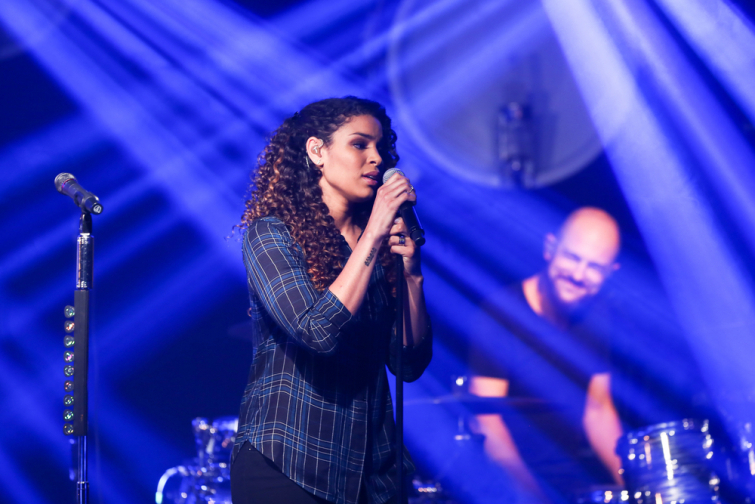 Jordin Sparks: "We need to be a godly example for our child"
"American Idol" winner Jordin Sparks became a mother this year - and she revealed a lot about her Christian faith and the special prayer she prays over her son, in the Christian Post. to the Christian Post about the special prayer she prays over her son DJ. "Every time I rock him to sleep, I start drifting into prayer over the choices he makes, the people he meets, and everything that's going to happen in his life. I pray, 'Lord, let him be strong when he needs to be, let him be kind in certain moments, let him be soft in certain moments, let him be compassionate, let him be passionate about other things and other people," the new mother said. "That prayer usually trails into a whole bunch of other prayers, depending on how long it takes him to get to sleep," she added. Sparks said the birth of her son on May 2 "completely changed" her perspective on everything – including her relationship with Jesus. "My faith became so much deeper because I caught a glimpse of the love the Father has for us. I wasn't prepared for the level of love I felt and the feelings that I never could've imagined before. I just look at DJ and I smile and I just want to cry because he's so incredible," she shared. "My husband and I are so aware that we need to set a good, godly example for him, because he's going to be looking to us," she continued. "But it's been such an incredible experience and made my relationship with the Lord so real." While Sparks has been adjusting to the roles of wife and mother, she also took on a new role in the faith-based film "God Bless the Broken Road." The film tells the story of a young widow named Amber who struggles to keep her relationship with God after her husband is killed in combat in Afghanistan. The project was directed by "God's Not Dead" filmmaker Harold Cronk, and is expected to have similar success as his other films. Sparks plays Bridgette, a young woman who helps the widow remember God's faithfulness. "I feel like a lot of people have gone through similar things that Amber goes through, not necessarily with the loss, but everybody's gone through a moment where their faith is shaken and they're unsure and they feel like they've gotten so far away from their faith that it's hard to come back," she said.